A new generation of workforce is now making its way into industries. They are the millennials, bringing in a wave of new work culture. Being the most connected generation, they value collaboration and are adept at using digital tools. This has naturally forced industry leaders to rethink and revamp their Human Resource(HR) practices. The advent of automation and cloud based solutions has proved to be a life saver, dramatically altering the way HR departments operate. Eradicating repetitive tasks and freeing up skilled employees to perform more high-value work while delivering easy scalability as the organization moves to the next phase has significantly mitigated the HR department's woes. However, despite these developments to optimise HR operations, HR management is still not bereft of challenges. Implementation of HRM systems, training the users, and lack of functional expertise in designing are some of the major pain points. "We Provide A Whole some Approach Of Current System Aligned With Our System Or Other Functional Systems To Our System And Thereby Enhance The Company’s User Experience And Real-Time Objectives"
Datacore was incepted following the need for a robust solution on top of Alp's gamut of HR services. The company's hybrid solution is a combination of a robust cloud based enterprise HR Suite and HR outsourcing services. Providing an overview, Roopa Priyadarshini, the Co-founder & Director of Datacore Technologies who has also been pivotal in nurturing the company and its offerings to maturity, shares, “Our suite of cloud based enterprise solutions coupled with outsourced services gives a wholesome approach to our clients for a one touch, single sign-on engagement within the country and globally.” Positioned as a one stop solution in the HRMS segment, Datacore’s HR suite is composed of an exhaustive list of critical modules that manages the complete lifecycle of an employee right from ‘hire to retire’ wherein the entire cycle and workflow is inter-related. On-boarding, leave, attendance, performance management, claims & reimbursement, payroll & labour regulatory compliances along with off boarding are a few of the modules. The company’s outsourcing services comprises HR, payroll and statutory labour compliances and more. transaction with automated input module for multiple users further bolsters the data flow and security framework. With controlled and authorised access, only the concerned person can access the necessary information. A large chunk of the HR solutions available in the marketplace are often stereotypical, designed by software development companies from a narrow software perspective. What this basically means is that most softwares may have to their name many templates, features and modules, yet organisations have failed to leverage them for optimum results, the reason being inability of the solutions to meet requirements. This is an area where Datacore Technologies manages to stay miles ahead. As a specialized HR solution provider, the company commands unmatched domain authority with the expertise to understand what the client really needs. Datacore’s HR Suite provides organisations with ample scope for customization, enabling them to avoid rigid practices and implement result oriented solutions for better decision making. To ensure best result, the company rolls the solution internally to detect any issue that might occur on the client’s premises. Furthermore, in today's dynamic business landscape, integrating HR solutions is not just important but an essential business requirement. Datacore Technologies provides organisations with high integration capabilities. “We provide a wholesome approach of current system aligned with our system or other functional systems to our system and thereby enhance the company's user experience and real-time objectives,” shares Roopa. Another feature that Datacore benefits organisations with is single sign-on through a single partner; meaning once a user logs into the system, users can easily gain access to all HR services and connected software modules. This not only enhances the user experience but avoids duplication or repetition of data inputs or other HR activities. Even for organisations with offices in multiple locations, Datacore acts as the single point of contact for all their HR needs. Regulatory compliance and labour law policies are the other important facets of DataCore’s offerings. With new norms and measures making their way,keeping track of compliances is easier said than done. This is probably why a large number of organisations have been seen to ignore such procedures. With Datacore Technologies taking care of all regulatory measures in its entirety, clients find that adhering to compliance was never so easy. Be it the rules and regulatory norms of the governing employees, their identification, payroll, income tax or labour compliance, or newer regulations such as GDPR (General Data Protection Regulation), Datacore ensures all regulations are met as part of their solutions as well as its outsourced services. The company constantly stays abreast of all the latest amendments with regular updates to the client. With presence across all the major cities in India along with branches in USA, Datacore Technologies is a force to reckon with. Staying abreast of the various trends, the company enables Human Resources across enterprises to position themselves as strategic influencers, vital to the organisation’s growth. Moving ahead, Datacore Technologies envisages harnessing the power of Artificial Intelligence, Analytics and Data Sciences to dramatically enhance the productivity of HR operations and make hiring simple along with improved TAT and productivity and opportunity for the most eligible resource based on merit. In context to GDPR, the company is geared up to meet the requirements of small and midsized companies for simple HRMS or services or hybrid solutions and that of medium or large companies with sophisticated tailor made solutions. Simply outsourcing HR services or having an HR solution in place isn’t enough. One of the first steps necessary for deriving maximum benefits is a proper implementation. Datacore takes a two pronged approach here. Firstly, the company signs up an agreement where an implementation is scheduled, detailing the required contributions from both Datacore and the client. The second approach to help clients, who are often generalists, is to implement the Datacore's solutions through the operate transfer method. Herein the team at Datacore collects all necessary data which are then run on the solution on the client's premises for three months. Once the solution is smooth enough for the client, it is transferred back to the organisation for the users to be trained and get well acquainted into the processes. This approach also takes care of the change management on part of the employees. There’s no doubt that technology and business, both, are ever changing.. Neither organisations, nor the workforce can risk sticking to the traditional mode of operation. To be ahead of the competition,, HR departments and the workforce have to adapt and stand out as game changers. “If a game changing path is not carved, it would be a futile effort for organization with traditional approach and it’s like being alive and in comatose,” opines Roopa. 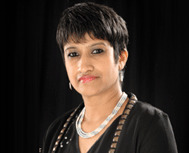 The seasoned technocrat and entrepreneur who is driven by her keen interest to help start-ups grow, postulates a unique approach which she terms as ‘ACTOR’, whereby employees can continuously improve and meet the ever growing needs of just now skills while organisations and HR departments can strike as game changers. For employees ‘ACTOR’ stands for: Analyse self; C - Change towards agility, reboot and adapt; T - Trend to the current and futuristic need; O- Obtain skills to meet unique demands; R- Result will follow. For organisation and Human Resources, ACTOR stands for: A - Analyse Data, C - Change to technology, T- Being relevant to Trends, O - Obtain an edge, R - Results.